China From the South China Sea: Current Events Around China. 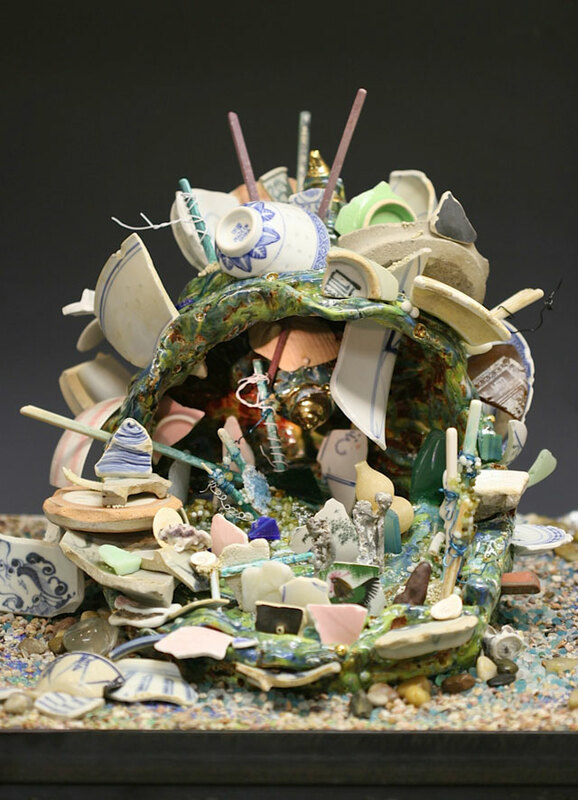 Cone 06 whiteware, glaze, lusters, beachcombed shards, glass & mixed media. Fried and assembled piece with welded iron stand. 14.5"H x 18"W x 22"D (exclusive of iron stand).